While we encourage faculty to know as much as possible about the tools you use, we do not expect you to troubleshoot problems as a profession. There are others dedicated to the role. So, when you or one of your students is having a problem with Blackboard or another piece of technology, we would like to hear from you immediately. The sooner we are aware of a problem, the sooner we can start working on a solution for you. 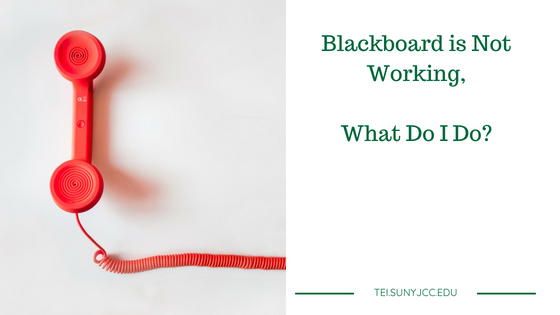 For Blackboard, you may also consider going to the Open SUNY Blackboard Help Desk. You can find a link to help in many different places on the JCC Website. There is a link on the very top of the Blackboard home page. There are also help links in every Blackboard course and organization. 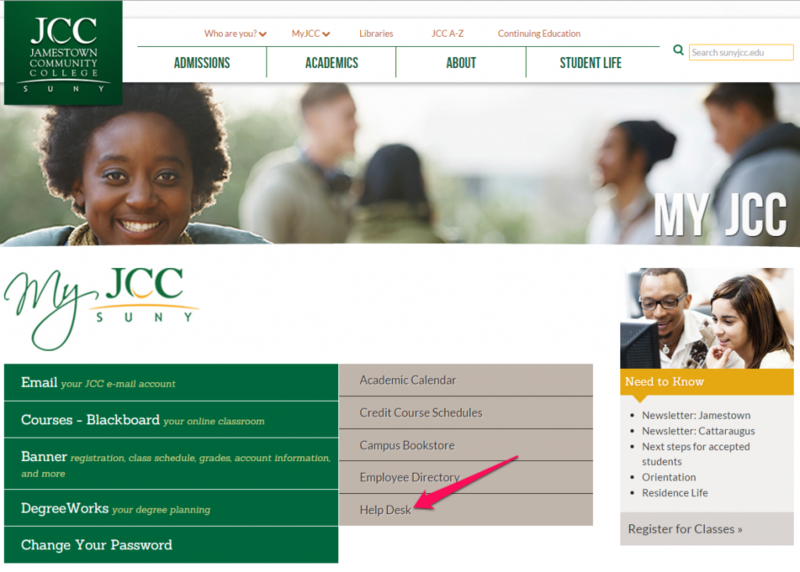 MyJCC also has a prominent link to the JCC Help Desk in case you are stuck. You also have the option of contacting the TEI Team, and we will be glad to assist you.